The long wait is finally over. On Sunday, the 2016 NFL season kicks off with the annual Pro Football Hall of Fame Game featuring the Green Bay Packers and Indianapolis Colts. Although many bettors wholeheartedly refuse to wager on exhibition games, opportunistic bettors can absolutely find value during the NFL preseason. One thing everybody should know is that sharps don’t typically dabble with preseason betting, and when they do, it’s very minimal action. The limits for preseason betting are much lower than they are for regular season games, but many oddsmakers do allow sizable bets. Bookmaker.eu, one of the market-setting offshore sportsbooks, will take $5,000 wagers on the spread and $2,000 bets on the moneyline and total. Many readers may be surprised to learn that preseason games are actually popular among casual bettors. According to Scott Cooley, an Odds Consultant for Bookmaker.eu, they receive more action on most preseason NFL games than they do for non-televised MLB or NBA games. He also explained that there’s much less action on Week 4 games when most of the starters are sitting. Anybody betting on the NFL preseason needs to realize they can’t use the same handicapping methods and betting systems utilized during the regular season. Sportsbooks have smaller betting limits and it is commonplace to see massive line moves due to both public money and breaking news. When the spread swings drastically, it is usually due to an update regarding the quarterback rotation or the amount of playing time that starters will receive. There’s very little value placed on things like injuries or holdouts. Despite the supposed struggles of setting lines for the first week of the preseason, oddsmakers have done fairly well for themselves. Since 2003, favorites have gone 88-88 ATS in Week 1 of the preseason. That said, there has been some value betting against the public with teams receiving less than 50% of spread bets posting a 90-78 ATS record. 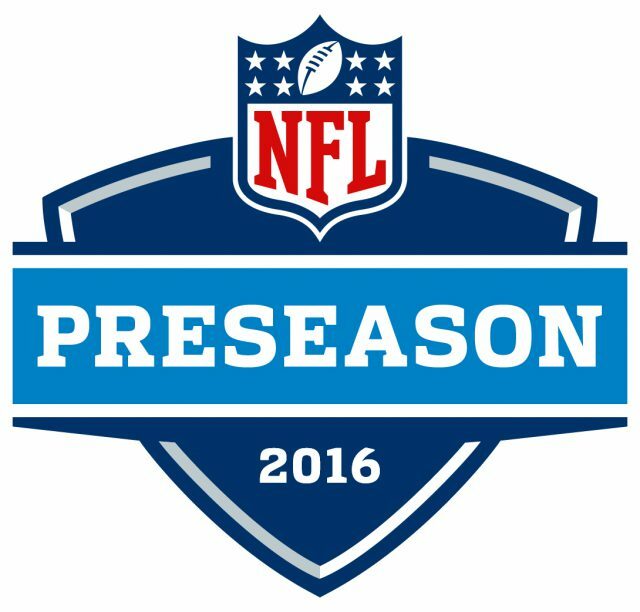 Unfortunately, betting against the public has had mixed results on the preseason as a whole. Knowledge is power, and valuable data is readily available with an element of immediacy that didn’t exist a decade ago. Bettors who are willing to intently follow beat writers and NFL experts on Twitter are often able to beat the book and act first on this publicly available information. Oddsmakers will quickly attempt to adjust their lines and react to breaking news, but there’s ample opportunity for vigilant bettors. It’s unrealistic to think that anybody can sit at their computer, scrolling through Twitter all day, but there’s value in taking NFL preseason teams after a major line move. According to my research, teams have gone 186-167 (52.7%) when the line gets at least one point worse (i.e. moving from +4 to +3 or -6 to -7). When that line movement contradicts the public betting percentages from our contributing sportsbooks, that win rate jumped from 52.7% to 57.3%. Line movement that contradicts our public betting trends is known as reverse line movement, and it’s an excellent indicator of sharp money. Typically when talking about reverse line movement, I’m examining teams that are receiving less than 35% of public support. Although there have been very few preseason games with a full point of reverse line movement on a team that’s receiving less than 35% of spread bets, teams fitting those criteria have covered at a nearly 67% clip. Coaching philosophy and strategy are important factors, and some coaches are known for taking preseason games more seriously. There are coaches who view preseason games solely as an opportunity to try new formations and analyze player personnel, while others place a large premium on developing a winning culture. The table below displays the best and worst preseason ATS coaches since the start of the 2003 season. Denver Broncos head coach Gary Kubiak (22-12 ATS, +8.93 units won) has been the most profitable head coach in our database. Kubiak went 19-11 ATS in eight seasons with the Houston Texans and 3-1 ATS in his first season with the Broncos. Denver will also be an interesting team to monitor this preseason due to the question marks surrounding their starting quarterback. When teams are torn between two candidates, the starting quarterback will oftentimes receive more reps with the first team offense to simulate regular season action. That extra playing time for the starters could benefit Broncos bettors as the team decides between Mark Sanchez, Trevor Siemian and first-round pick Paxton Lynch. Todd Haley and Joe Philbin hold the distinct dishonor of being the worst preseason coaches in our database, unfortunately, both were fired as head coaches and now hold assistant coaching jobs. In terms of active coaches, Cowboys HC Jason Garrett (7-14 ATS, -7.1 units) has been the least profitable in our database followed closely by Rams coach Jeff Fisher (19-25 ATS, -6.7 units). Not all coaches are created equal in terms of NFL preseason betting, and these records can be a valuable tool when handicapping games. I should also point out that shopping for the best line is increasingly important during the preseason, especially on numbers that aren’t typically significant. For example, only 4.64% of all regular season games have been decided by 1-point, which makes it the seventh most common margin of victory. However, preseason games are often lower scoring and more competitive. Additionally, teams often forego the extra point in favor of the two-point conversion in late game situations since neither team wants to play overtime. As I have stated many times, there’s more value on the under in games with high totals and more value on the over in games with low totals. During the preseason, The under has gone 99-83 (54.4%) when the closing total is at least 40 and the over has gone 139-113 (55.2%) when the closing total is less than 36. I always recommend taking large underdogs as part of a contrarian strategy, and my research found that ‘dogs of at least 6-points have gone 38-27 ATS (58.5%). If you do plan on taking the favorite, you should bet them on the first half line when the starters are playing. Additional research found that favorites of at least 3-points have gone 118-96 ATS (55.%) on the first half spread. The typical NFL preseason game receives just a fraction of the bets that are placed on regular season games, but that’s still a significant number. There may not be value betting against the public, but there are many contrarian strategies that are effective during the preseason. Established veteran starters have nothing to prove, and are unlikely to play many snaps. For that reason, you actually want to devalue a team like the Steelers or Packers who are worried about potential injuries to their franchise quarterbacks. The popularity of sports betting has increased across the board, and Cooley confirmed that Bookmaker has seen similar growth for NFL preseason betting. It will be interesting to see whether this higher volume impacts the value of betting against the public, but regardless there are several profitable strategies for contrarian bettors to implement. Looking to track the latest odds, public betting trends and injury updates? Make sure to visit our free NFL odds page. Want to track sharp money indicators like steam moves and reverse line movement? Try Sportsbook Insider Pro today by signing up for a 4-day trial.